To commemorate the “150th Birth Anniversary Celebration of Swami Vivekananda” Central Board of Secondary Education (C.B.S.E.) has announced special awards named ‘Vivekananda School of Excellence Award’ for radiant ideas of Swami Vivekananda. Out of 13,500 schools only 40 schools have been nominated. Ramakrishna Mission Vidyalaya, Viveknagar, the only institution of the state of Tripura has been awarded. 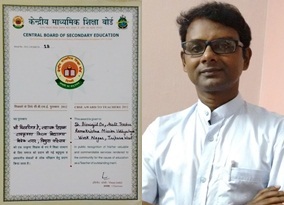 Sri Biswajit De, Assistant teacher or our school received the National Award for Teachers from the President of India in the year 2012. National Award to the teachers was instituted in the year 2000 by the Union Ministry of Human Resource Development as a separate category in which the teachers working in CBSE affiliated schools are awarded for their commendable performance. Sri Jayanta Chanda, Teacher of Ramakrishna Mission Vidyalaya, Viveknagar, received the National Award for Teachers from Her Excellency The President of India Smt. 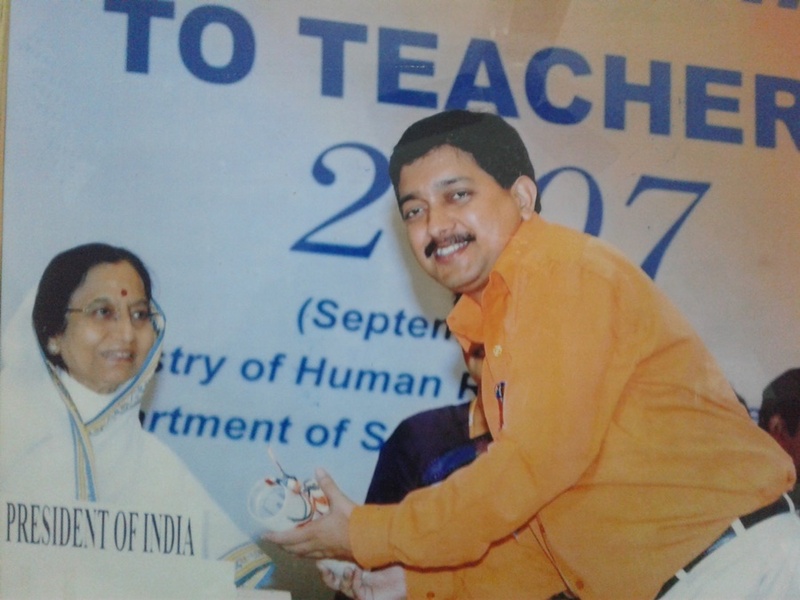 Pratibha Devi Singh Patil in the year 2008 on Teachers' Day. Sriman Sayantan Das, a student of Ramakrishna Misssion Vidyalaya - Viveknagar, has been selected for "National Child Award for Exceptional Achivement-2012" in the field of singing specially in "Rabindra Sangeet" & "Nazrul Geeti" by Ministry of Women and Child Development, Govt. of India. This award has been conferred by the Hon'ble President of India on 14th November 2012, in "DARBAR HALL" of RASHTRAPATI BHAWAN, New Delhi. 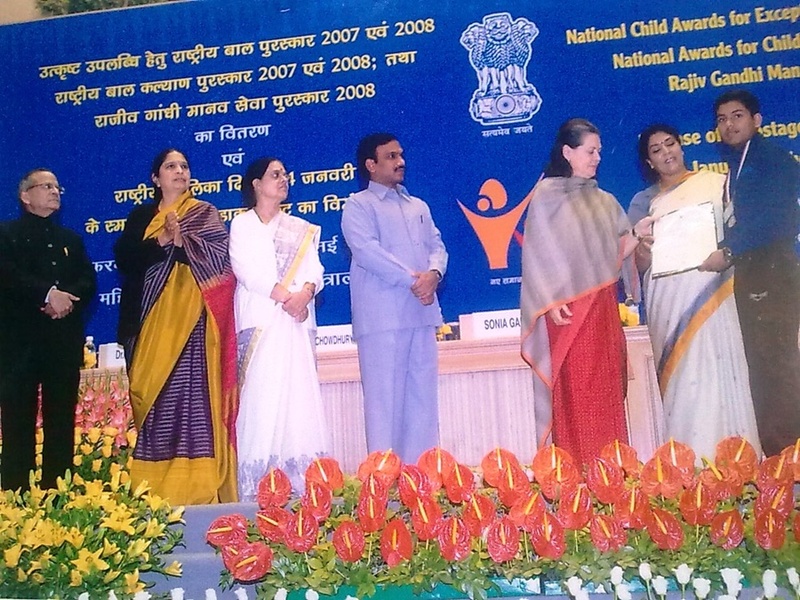 In 2007, The Ministry of Women & Child Development, New Delhi, Govt. 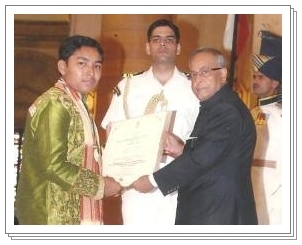 of India honoured Master Debojyoti Sengupta, a class VII student of our Vidyalaya with ‘National Child Award for Exceptional Achievement, 2007’ for his exceptional ability in the field of Art & Academics. He received the Certificate of Honour on 5th February, 2009 in New Delhi from Mrs. Sonia Gandhi, the then UPA Chairperson.